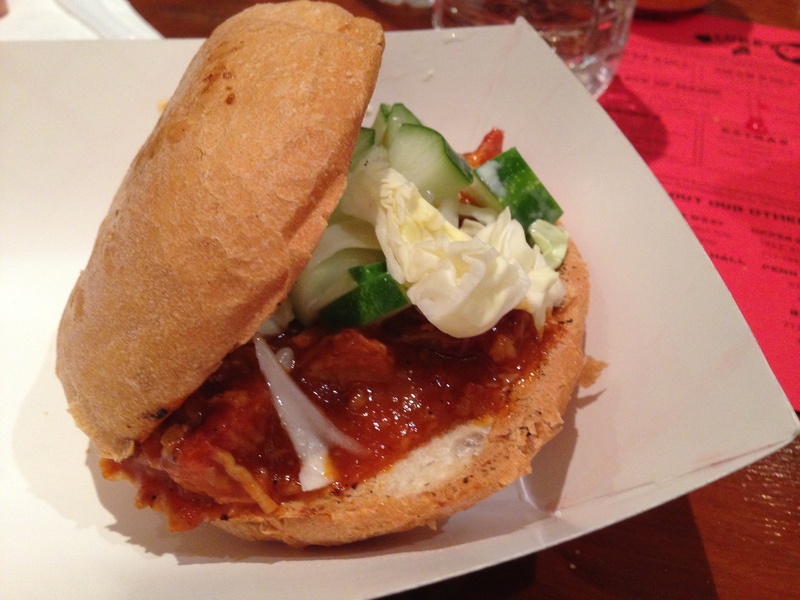 … but as for me – I prefer this one: the short rib sandwich, with kimchi and wiz on a toasted hoagie roll. The trick, though, is to not confuse this with a run-of-the-mill Philly cheesesteak, or even a tweaked Philly cheesesteak. Actually, just forget the Philly cheesesteak altogether. Instead, I view it as a modernized vehicle by which to transport bulgogi to your mouth. I think it’s because it had a distinctly bulgogi-and-kimchi flavor that reminds me of my childhood, and only the lightest smattering of wiz (just enough to moisten the roll). If you go into it expecting flavors of cheese and friend onions or broccoli rabe, you’ll be disappointed, as those aren’t the primary flavors. But if you go into it thinking about those table-side grills at Korean restaurants, you’ll be pleasantly surprised with the update. The stand at Franklin Flea didn’t offer their Koreanified mac-n-cheese or chicken wings (apparently they weren’t allowed to deep-fry things on site at Franklin Flea), but I look forward to trying them in the future, too. 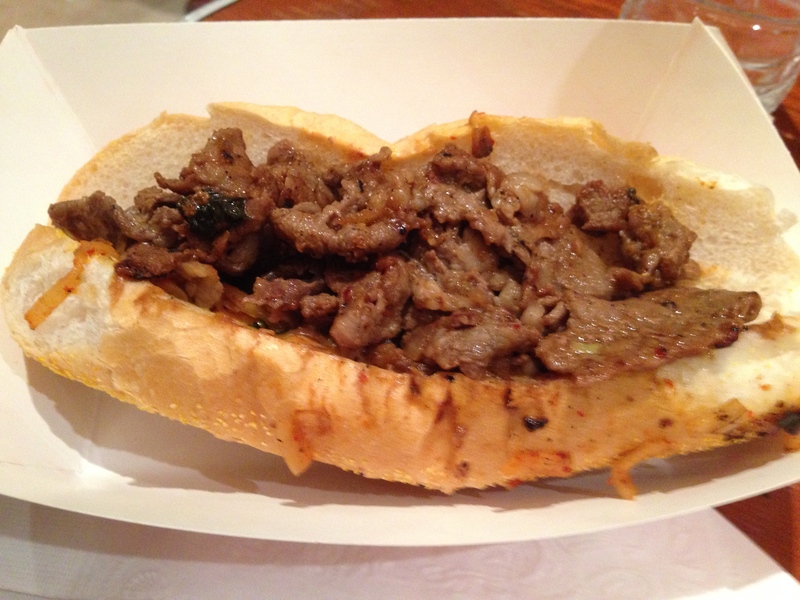 Bravo to Seoul Food Philly – we wish you the best of luck!